This article demonstrates how to create and use a Custom Entry control in Xamarin.Forms, XAML, and C#. This article demonstrates how to create and use a Custom Entry control in Xamarin.Forms, XAML, and C#. 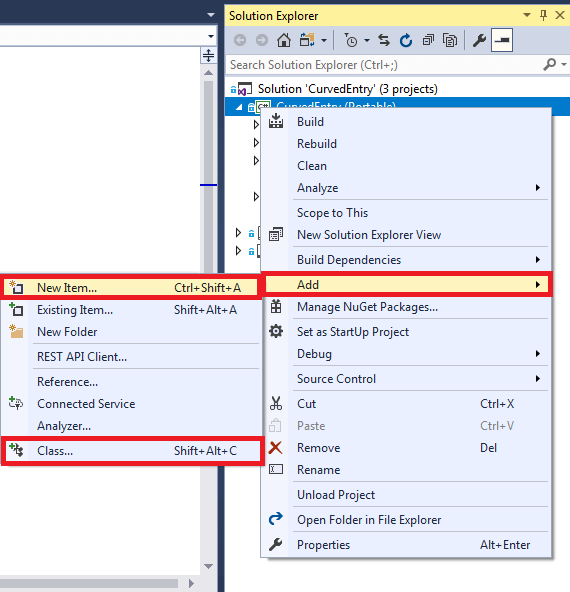 This article starts with the introduction of the Custom Entry tag in XAML. 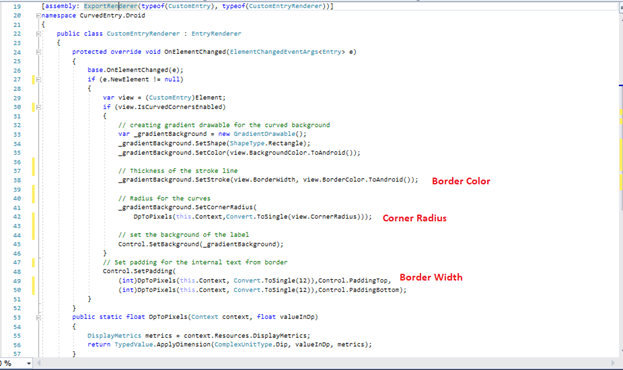 After that, it demonstrates how to set BorderColor, BorderWidth, CornerRadius, and IsCurvedEnabled of a Custom Entry. In the end, the article discusses how to create a button at run-time. 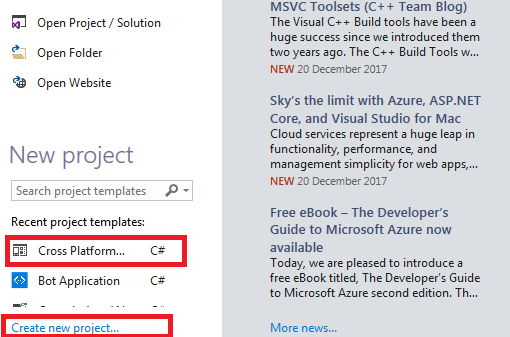 Open Visual Studio and select a New Project. 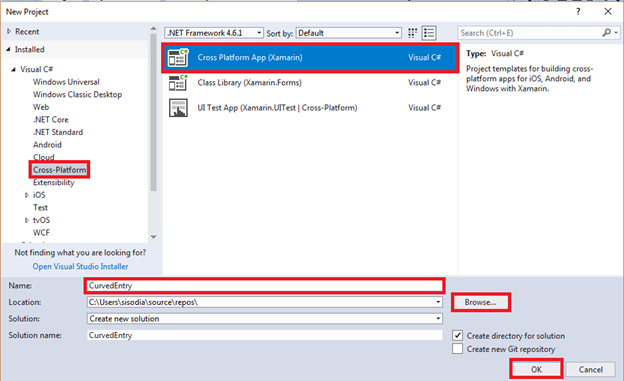 Now, select Cross Platform App, give the project a name, and set the project path. Then, click OK.
Right-click on PCL Project and select Add >> New Item or Add >> Class. 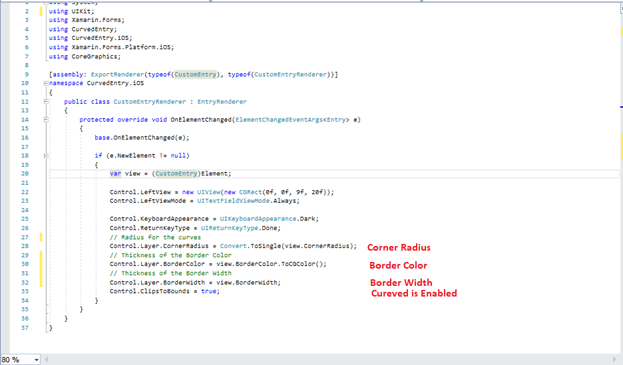 We are creating a class CustomEntry.cs and writing the following C# code. This property is set in the Android project as well as in iOS project. Now, it's time to go to the iOS project. 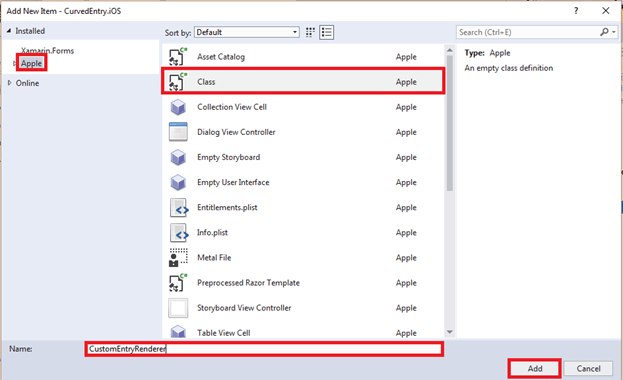 Again, set the PCL(CustomEntry) property in IOS Project…. We are creating a Class, so right click on iOS Project and select Apple. 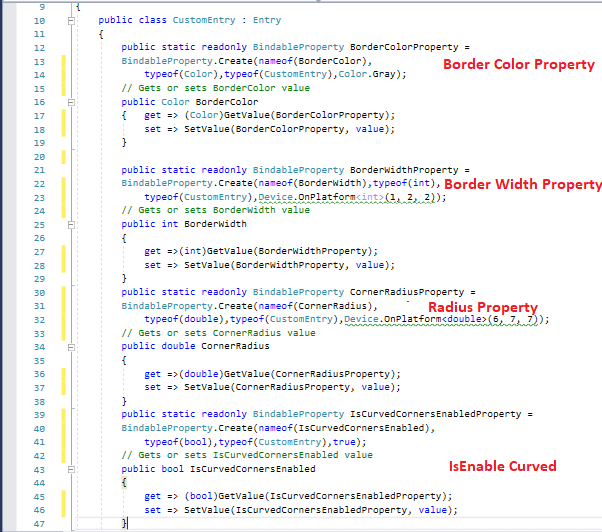 Then, select "Class" and give this class a name as CustomEntryRendered.cs. Now, let us write some code for Entry and Set Property. 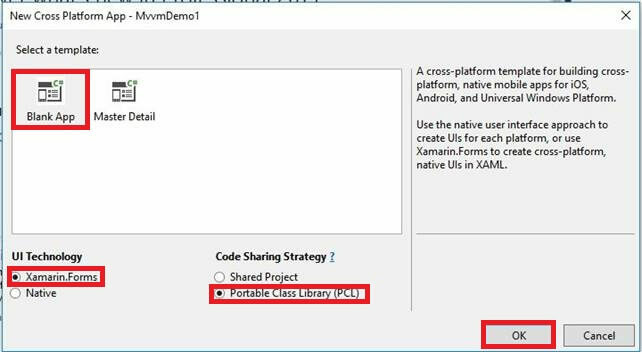 Now, go to the PCL Project and write this code in MainPage.xaml. 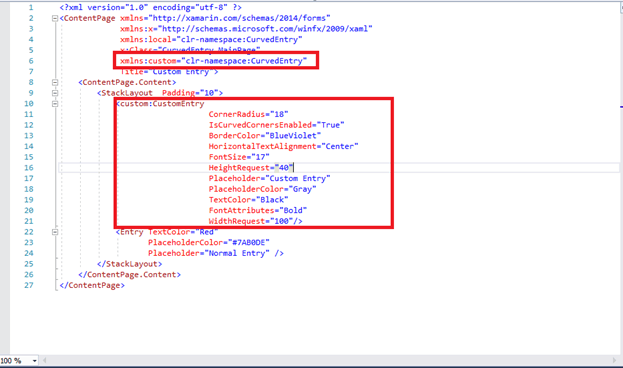 As you can see in the above code, we have to set the view reference in xmlns:custom="clr-namespace:CurvedEntry" MainPage.xaml. Write the following code for CustomEntry. Now, you will have your Custom Entry working! !